There is a fine line between persistence and stubbornness, and I’m not sure which side of the line I fall on. 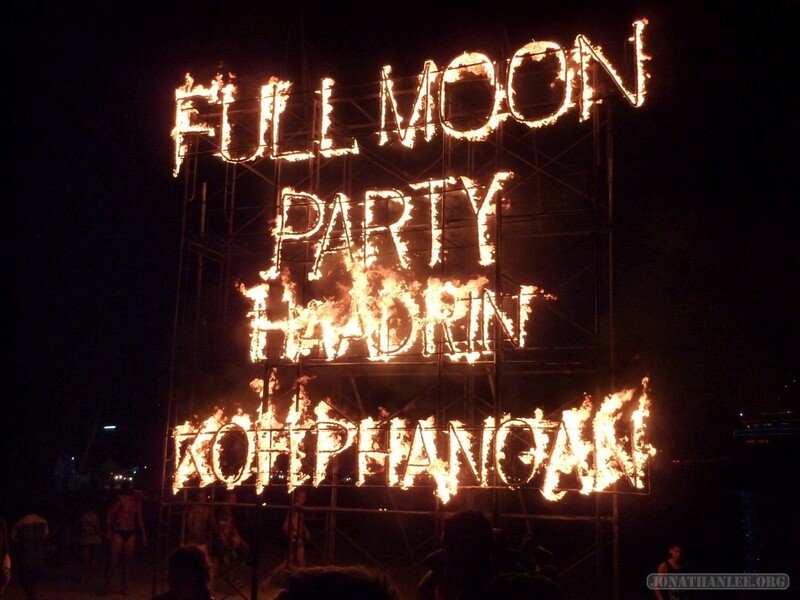 Upon arriving in Koh Phangan from Koh Tao, most of my fellow ferrymates took a taxi along the coast to Haad Rin, the site of the full moon party, 10 kilometers away. Me, I decided to try a town about halfway to the party, figuring that it would be quieter. However, once I got to that town, I realized that there was absolutely nothing there. There were a few reasonably priced bungalows, but no shops, no restaurants, no activity whatsoever. 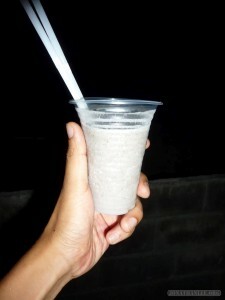 So, I decided to head to Haad Rin – by walking along the beach. Only 5 kilometers, no problem! 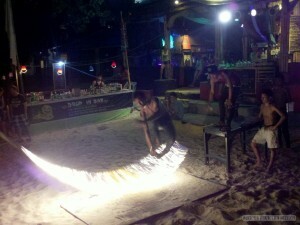 I’ll not only get to see the beach (and some kite surfers along the beach), but I’ll save 100 baht ($3)! And it goes pretty well, for the first hour or so. The beach is rather disappointing, too much trash and debris, but it’s nice and tranquil. I can feel the sea breeze in my hair; hear the crashing of the waves. Then, the tide comes in, the sandy shoreline starts to end, the hilly rocky shoreline starts to begin, and I’m trapped between the sea and some rather large boulders. I continue wading onwards, but the sea is up to my knees. Worse, I’m all alone on this part of the beach, so if anything happens to me (and the 15kg pack I’m wearing), there will be no one to help. 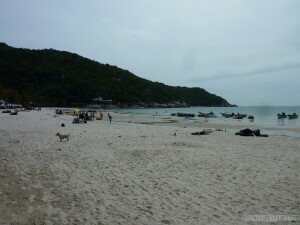 And so, I keep hiking on – wearing sandals, carrying a 15 kilogram backpack, and sweating like an Eskimo in the tropics. “Strong man!” calls the taxi driver as he drives by. Hearing that, I just can’t give up and take a taxi, can I? 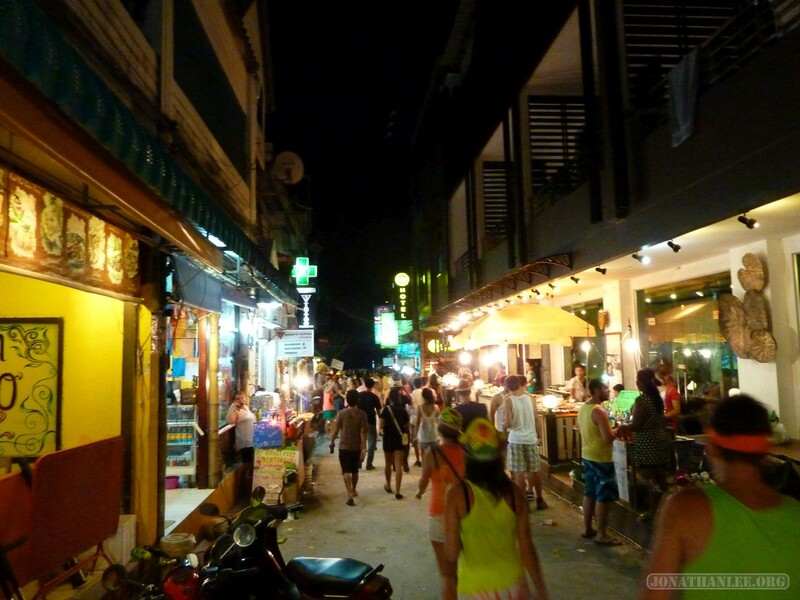 And so, half an hour later, I finally make it into town just as it gets to be pitch black outside, rent the first bungalow that I find ($13 per night), and crash for an hour before heading out to get some food. Am I persistent, or just stubborn? For the uninitiated, “same same but different” is a distinctly Thai phrase, usually used by vendors selling counterfeit goods. 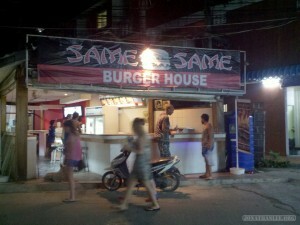 Well, what I got for $4 was indeed a burger with fries and soda – but different. The burger was 50% mayo / ketchup, the fries were unbearably greasy, and even the can of soda tasted wrong. Eating this crime against nature just felt wrong, and yet I was just too hungry. When I got back to my bungalow, I calmly unlocked the door, calmly strode to the bathroom, calmly hurled, and went to bed. The next day, the diarrhea started, and lasted for the next two days. 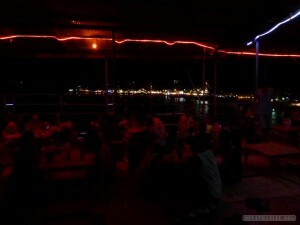 My first time having western food in Thailand, and of course everything goes wrong. 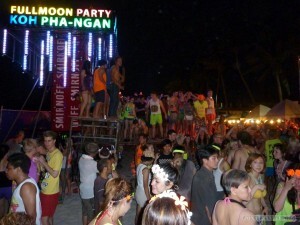 It could be worse though – I met a kid who managed to get E.coli, drank through the stomach pain, and ended up spending the full moon party in this hospital hooked up to an IV drip. 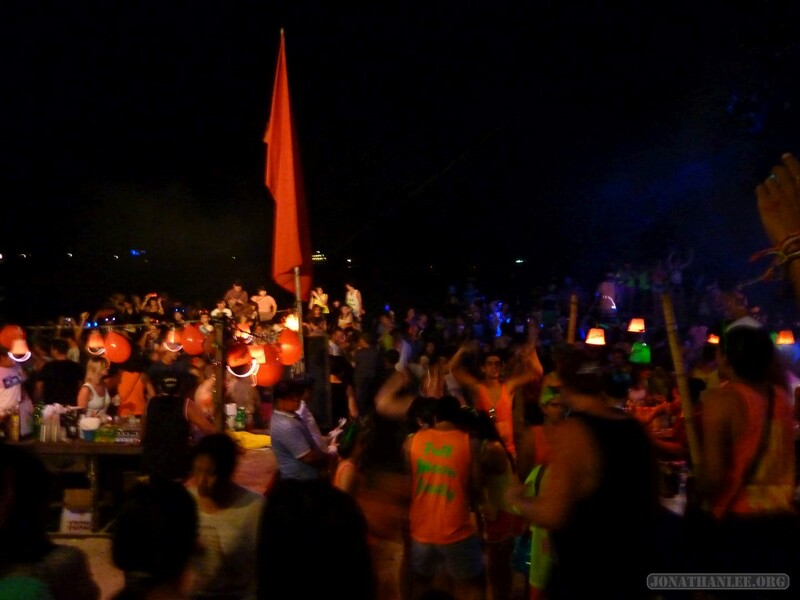 On the night of the party, thirty thousand people descended upon a single town, and crowd onto a single beach less than a kilometer long, for a night of drinking, dancing, and general debauchery. 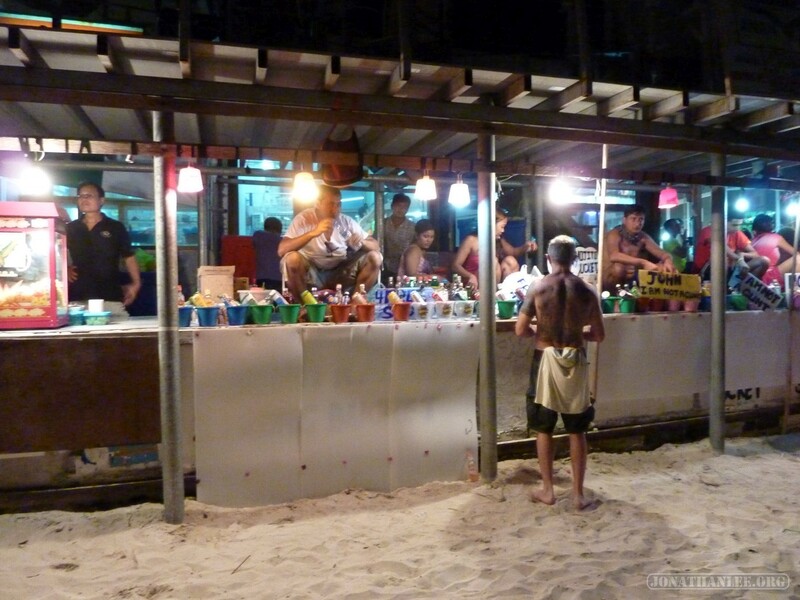 Koh Phangan (and backpacker destinations all throughout Thailand) have this thing, where they sell mixed drinks by the plastic bucket – providing you with a bucket, a bottle of liquor, and a can of mixer (e.g. rum and coke), which you mix together and enjoy with straws. Costing from $5 to $10 for an entire bucket of alcohol, it’s pretty good bang for the buck. Admittedly, the quality of the drink is not that great, but the alcohol / cost ratio is pretty good. 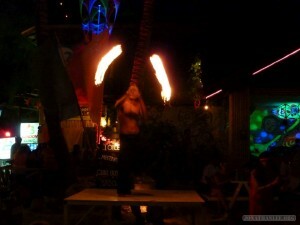 And of course, no party would be complete without fire shows: fire twirlers and fire rope jumping. Fire rope is jumping is pretty simple – performers douse a rope in gasoline, light it on fire, and challenge brave & intoxicated partygoers to jump rope. Oh, and drugs – don’t forget about the drugs! Fellow travelers told me stories of how they get approached by suspicious-looking strangers, offering to sell “pills”. (Of course, some then turn around and tip off the police for additional profit.) I briefly fell in with a group of 20-somethings from South Africa, before they started going around asking everyone for MDMA. There was also a place selling mushroom shakes, but I think they watered down their shakes for the Full Moon Party – a new friend tried the shake, waited two hours, and found that nothing at all happened. Oh well, $17 down the drain. Finally, all the people! 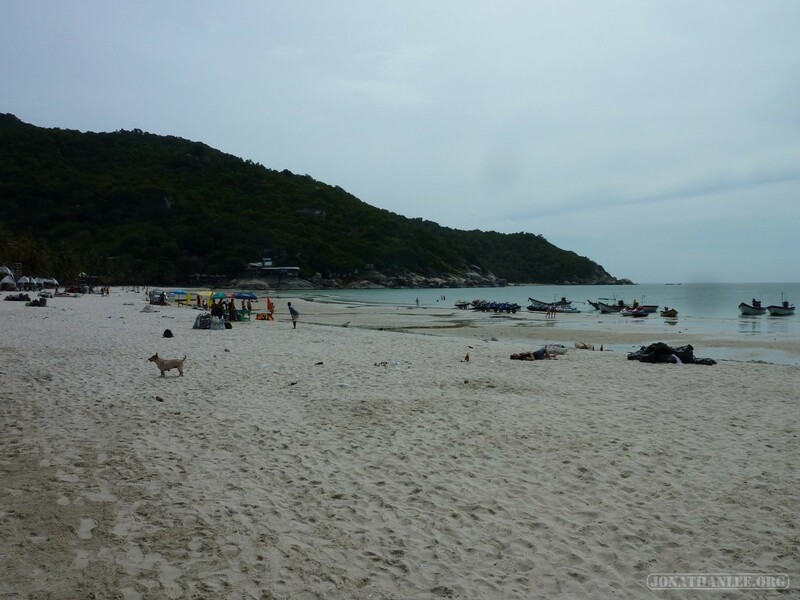 Going down to the beach is like going to Times Square on New Year’s Eve – packed with so many people that you can’t move – but with an additional factor in that everyone is half naked and sweating profusely in the heat. Let me paint you a picture – it’s as if you took a high school locker room, removed all ventilation, banned all deodorants, soap, and cleaning products, and then passed through a couple thousand sweaty kids per day for a month, without a single cleaning. I have never, ever smelled body odor like this, and I hope to never experience it ever again. 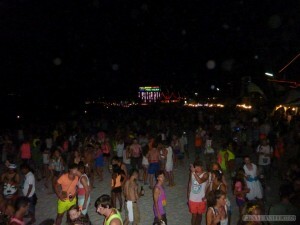 Since I couldn’t join the festivities, I turned over for a night, waited until everyone had cleared out of the beach and the clean-up crew had cleared the beach of trash, and walked along the beach to witness the aftermath. It was impressive – the party was so wild that even after the beach was empied and cleaned up, the entire beach still reeked of body odor, with additional smells of spilled alcohol and puke mixed in. Once again, I have never smelled anything like it, and I hope to never do so again. 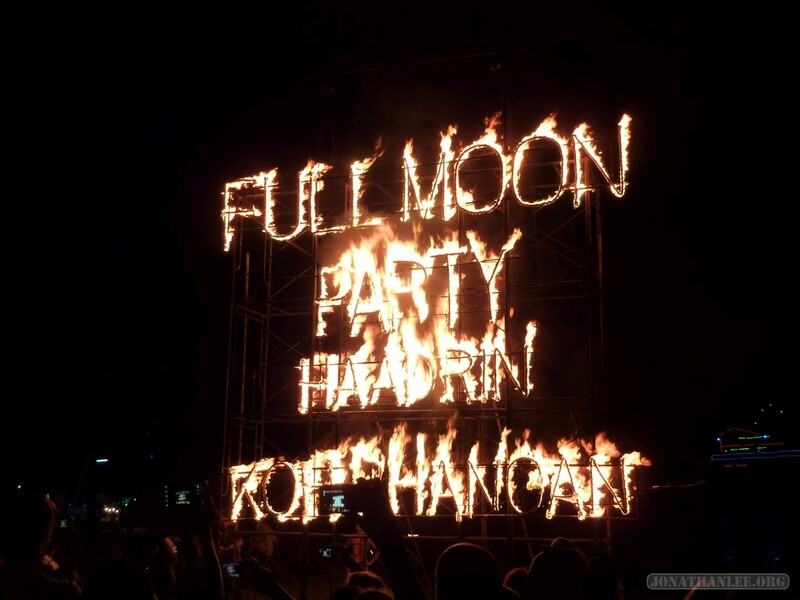 All in all, the Full Moon Festival was exactly as I had imagined it – full of college kids in their gap year getting drunk, very very trashy, and totally awesome. 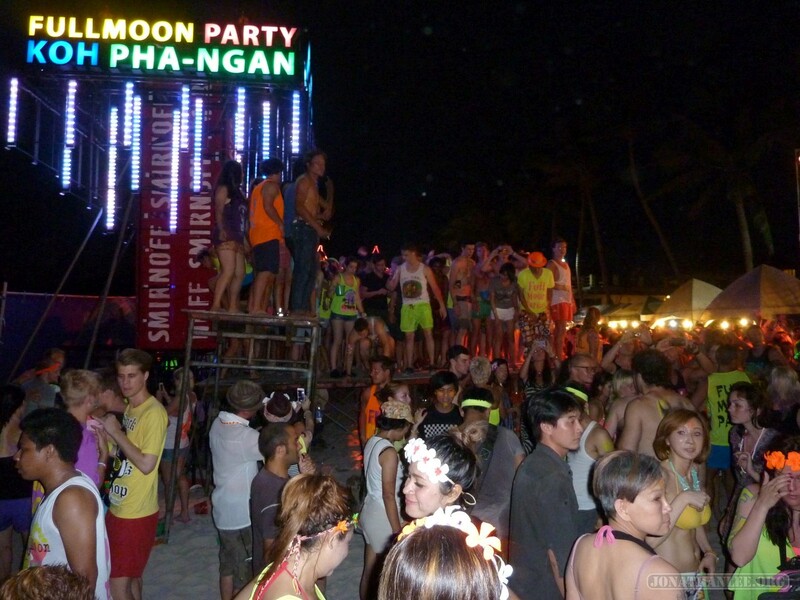 Fortunately (or unfortunately), there are no incriminating photos of me at the full moon party. 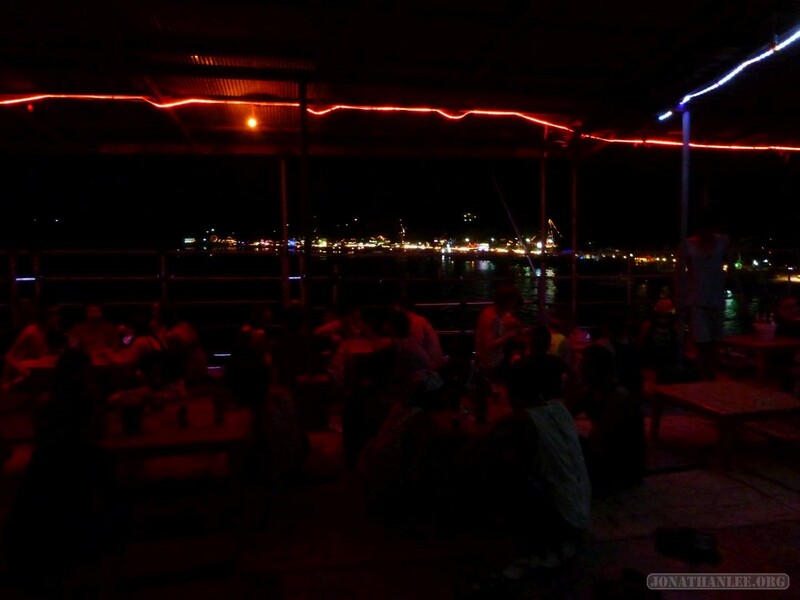 After the Full Moon Party on Koh Phangan, I hopped across the border into Malaysia, visiting Penang!